The Mercantile is a vintage marketplace located in a 100-year-old brick building. We sell a variety of vintage furniture, décor, jewelry, antiques and local art. Our shop features various size booths and display areas in over 18,000 square feet of vendor rental space in a gallery interior. The gallery has hardwood floors, white brick walls, high beamed ceilings, wide aisles and plenty of natural light. The Mercantile celebrates and supports Florida independent artisans and collectors with a love of old things. We offer vendors a unique space to promote and sell merchandise. Our shop is filled with vintage merchandise that is an eclectic mix of consignment furniture and vendor rented space that have both been curated by our creative team. That means we take great care in hand selecting what consignment furniture we accept and we meet with each vendor to make certain that they have stylish and quality merchandise. We also cover the business side of selling, so you do not have to. Our team handles the advertising, cash register, customer relations, monthly sales reports, building maintenance and all of the legal stuff. 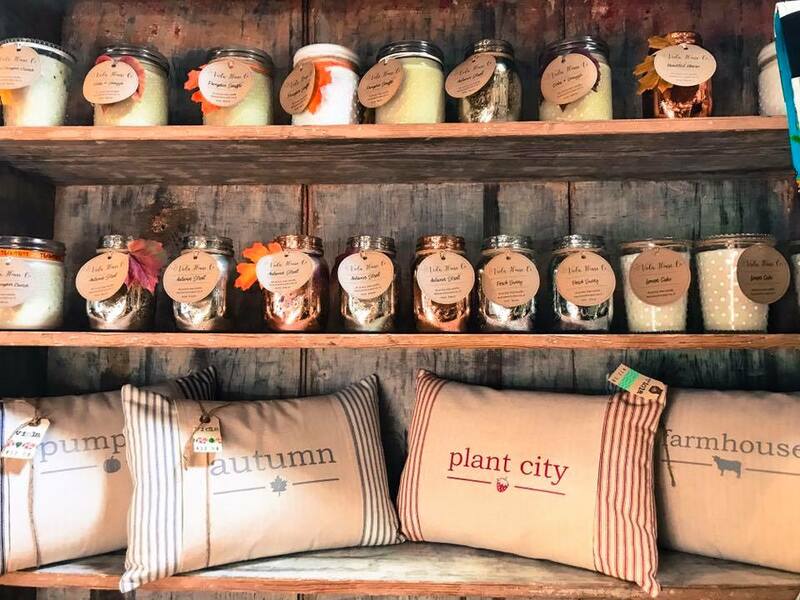 We have also created a very unique and popular shopping destination that is the largest of its kind in Downtown Plant City. This leaves you free to do what you do best! We pride ourselves on being a 100% vendor run shop. That means that we do not hire employees to help customers on the sales floor. Each vendor works for one day each month to help on the sales floor and with light duty tasks. This savings in cost keeps our rental rate low and allows us to advertise more. As a vendor, your role is to regularly stage and restock your booth with enticing merchandise for our customers. You are also heavily encouraged to promote your merchandise through social media sites like Facebook, Instagram, and/or Pinterest. There are two great ways to sell with us through either consignment and rented space. Our furniture consignment program offers a 60/40 split for 90 days with no hidden fees. This is an easy option to make money on the great furniture you have collected or repurposed/painted. Simply email a picture of your furniture and prices to info@themercantilepc.com to get started. 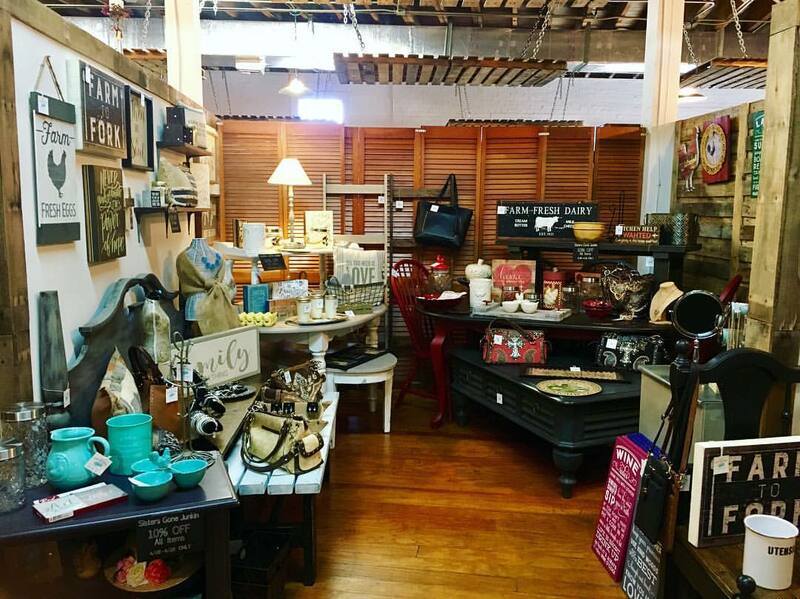 Vendor rented space is the best option if you have a great selection of vintage merchandise that you would like to stage and sell on an ongoing basis. To keep with our vintage look, we require vendors to stock their spaces with at least 80% vintage or handcrafted items. Rental space is made up mostly per 100 square foot booths that average $250 per month with a three month commitment and month-to-month after that. We have a low 10% sales commission on sold items, and an extra 3% fee if the customer uses a credit card. You can also monitor your sales online through our website "what-sold.com" that is updated daily. Detailed sales reports and checks are provided on a monthly basis. To get started, simply fill out our Vendor Application Form below!